Please note that this is the meeting time at Þingvellir P5 parking lot – Pick up from your hotel starts an hour earlier. 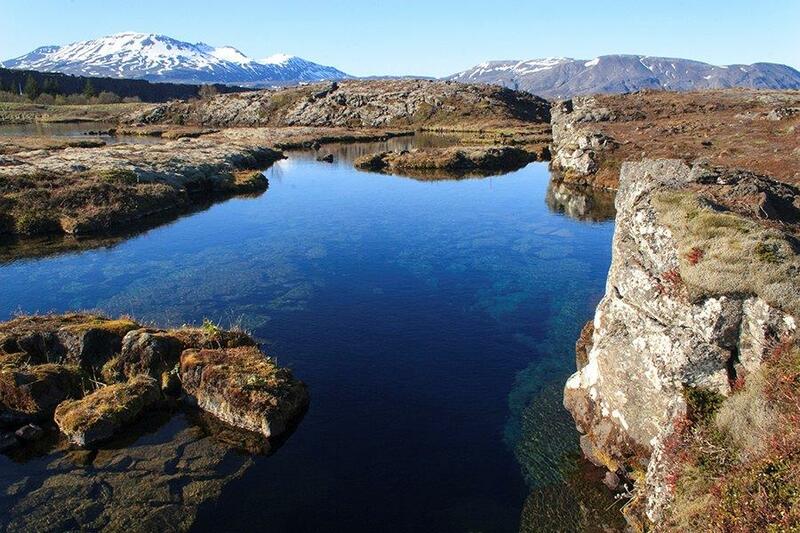 If you do not require pick up, the meeting point is Silfra car park P5 in Thingvellir National Park. 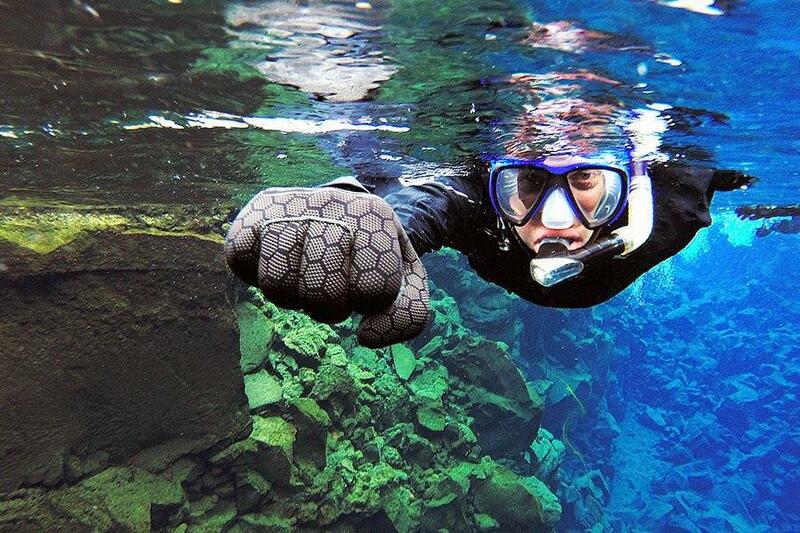 Please park your car at “Thingvellir P5” and walk 400m back along the road until you reach a smaller car park with all the snorkel and dive vans, and look for your Adventure Vikings guide. Please be there, ready to meet your guide 5-10 minutes before your tour is due to begin. 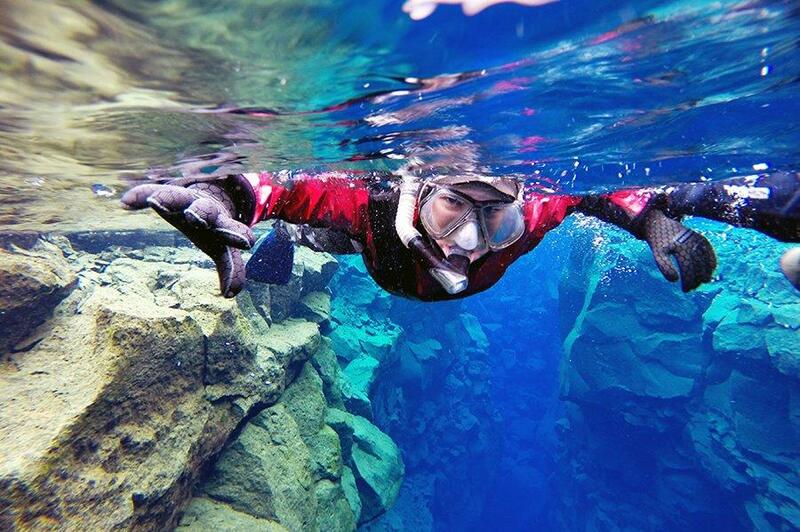 Silfra is one of the top dive sites in the world and situated in the UNESCO World Heritage Site, Thingvellir, only about 50 km from Reykjavik. 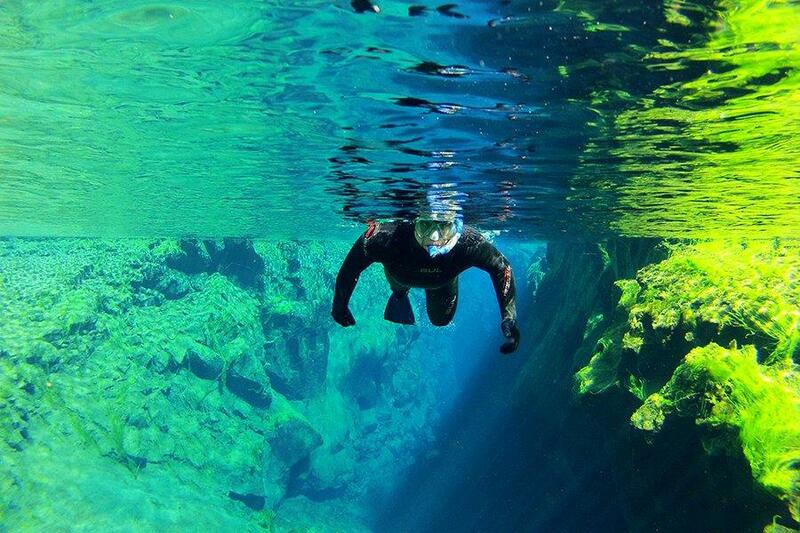 Silfra is a freshwater fissure about 60-63 meter deep, where you can almost see the end to end as the water is so clear. The water is so pristine it feels like flying. 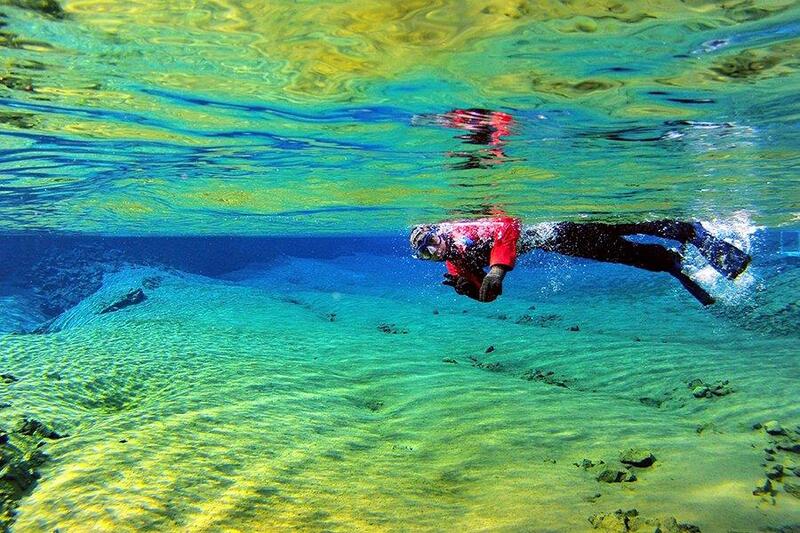 By snorkeling in drysuit you will get protection from the cold water if the fissure as the drysuit is constructed from layers of insulating fabric. However, in the summertime, we always recommend you rather take the wetsuit as you will have so much more fun. Glacier Hike booked from Iceland Advice was exceptional. I just booked the day before the hike and the email reply from my message was so fast. It was a very good 3 hours hike for seniors like us. The guide was good. We did most of our Iceland trip under our own supervision and guidance. Taking a hike on a glacier seemed like something we shouldn’t tackle ourselves. We are 100% glad we did not do it alone. The scenery was amazing and was something we had never experienced before. Our guide was very friendly and made sure we were informed of the potential dangers of what we were doing. We could have spent hours more exploring but our experience was definitely worth the money. This was some great fun! After my wife and i found out that we couldnt dive in Silfra because of the new certification law, we looked for an alternative. We decided to snorkel instead and it did not disappoint. My wife was a little cold even in the dry suit, but i didnt notice it at all. She had to pull me out of the water! Do this! We went on a rainy and cold day but our guides did a great job with our group and it was a lot of fun to snorkel in the slides fissure. We were definitely happy to have dry suits on !